The vast Gulf of Maine extends from Cape Cod to the Bay of Fundy. It was once one of the most productive marine ecosystems on earth. It still is. But the Gulf of Maine is warming faster than 99% of the world’s oceans. Some fish species, like northern shrimp, are moving out, and other potentially valuable species, such as black sea bass and dogfish, are moving in. Fishing is fundamental to the New England culture. To sustain this heritage, fishermen, scientists, and even fish consumers will need to adapt to the changing system. The aim of Manomet’s work is to strengthen and diversify fisheries in the Gulf of Maine. The main areas that Manomet is focusing on include restoring and growing the soft-shell clam industry in Maine; determining the viability of a soft-shell green crab industry in New England; and exploring the viability of quahog clam aquaculture in midcoast and southern Maine. Soft-shell clams are the second most valuable fishery in Maine—valued at about $18 million in 2014. Unfortunately, soft-shell clam landings in many coastal communities have declined in recent years—due to the effects of climate change and an increase in invasive predators like the European green crab (Carcinus maenus) and the milky ribbon worm. Clam farming can be a low-cost, effective way to protect growing clams from green crabs and help restore clam populations and local fisheries. Clam farming involves putting small hatchery-raised “seed” clams in local mud flats and then covering the clams with protective netting. The netting protects the clams from green crabs. Funded by a NOAA Saltonstall-Kennnedy grant, Manomet’s clam project helps coastal towns in Maine learn about soft-shell clam farming and will launch five new farms in Maine. Manomet also hosts local schools to teach students about clams, clam flats, and clam farming at The Heal Eddy Clam Farm, the first commercial scale clam farm in Maine. As climate change continues to alter the abundance and distribution of invasive species, new strategies will need to be developed to mitigate the resulting ecological and socioeconomic impacts. Manomet’s soft-shell green crab project aims to create a mechanism for controlling green crab populations while also creating a value-added product and a source of economic opportunity for fishers. Utilizing an invasive species to diversify fisheries resources may ultimately enhance the future resiliency of New England’s coastal communities, and could serve as a unique example of how to mitigate the ecological and socioeconomic impacts of climate-driven change. Promoting ecosystem-based fisheries management: We are pioneering a new approach to fisheries management where fishermen and government managers share responsibility for sustaining a diverse harvest. Incorporating fishermen’s knowledge of local ecological conditions and incentives for stewardship will allow for adaptation to climate impacts. 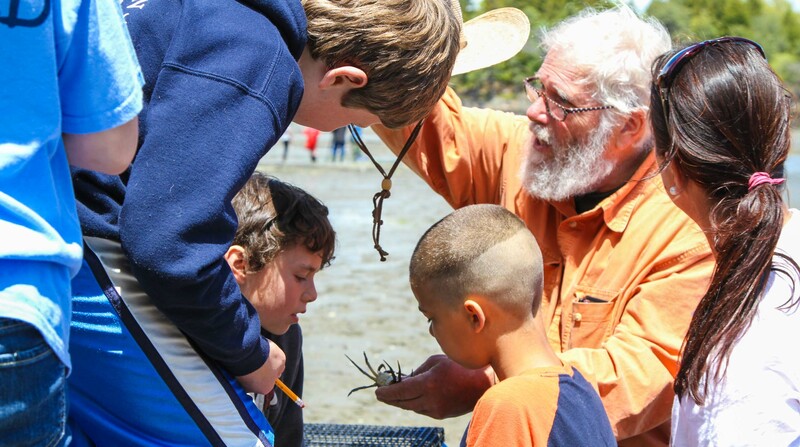 Preparing the next generation of fisheries stewards: Through fisheries-related K-12 educational programming, we are reconnecting students to local freshwater and marine ecosystems and to fisheries as a way of life. Rebuilding eastern Maine’s identity as a fishing culture through experiential learning and leadership training is the key to a sustainable future. Capturing the benefits of fisheries for local communities: Landing harvests locally requires boat services, ice machines, fish processing, and transportation to markets. 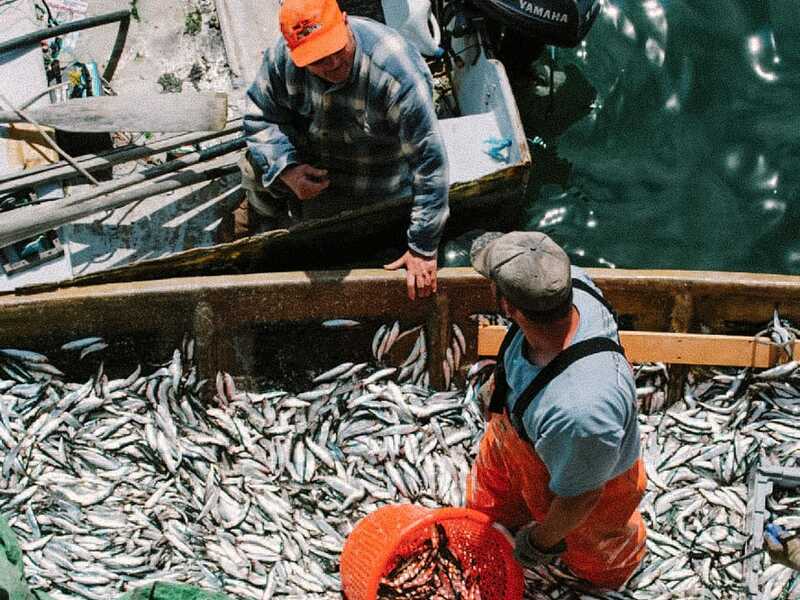 We are identifying opportunities to create these connections between harvesters and regional markets while expanding options for communities to enjoy locally caught seafood. The northern quahog (Mercenaria mercenaria) is a hard-shell clam that occurs in the western Atlantic from Nova Scotia to the Yucatan Peninsula. Unlike soft-shell clams, quahogs quickly outgrow crab predators, and are less susceptible to predation by milky ribbon worms. Therefore, northern quahogs may provide a potential adaptive solution for Maine’s soft-shell clam harvesters who would benefit from a diversified source of income. Manomet has partnered with shellfish harvesters in midcoast and southern Maine to test the viability of quahog aquaculture. Preliminary experiments will determine survival and growth of netted quahog seed in several locations. In Maine, kelp forests promote biodiversity and provide food and shelter for hundreds of species, including many that are commercially important. Kelps themselves support growing commercial wild harvest and aquaculture industries as well as the potential for water quality remediation and storm surge protection. Long-term monitoring of kelp ecosystem health in Maine will aid in efforts to determine how these systems respond to change, and the associated ecological and socioeconomic impacts. Since 2016, we have monitored kelps at three locations in coastal Maine. We plan on adding an additional site in southern Maine to broaden the geographic scope of our work. The success of Manomet’s fisheries work is due to the strong relationships we have built in many Maine coastal communities and the partnerships we have developed with industry stakeholders. Manomet is working with shellfish harvesters and local Maine communities in Georgetown, Brunswick, Scarborough and more to pilot new clam farms. 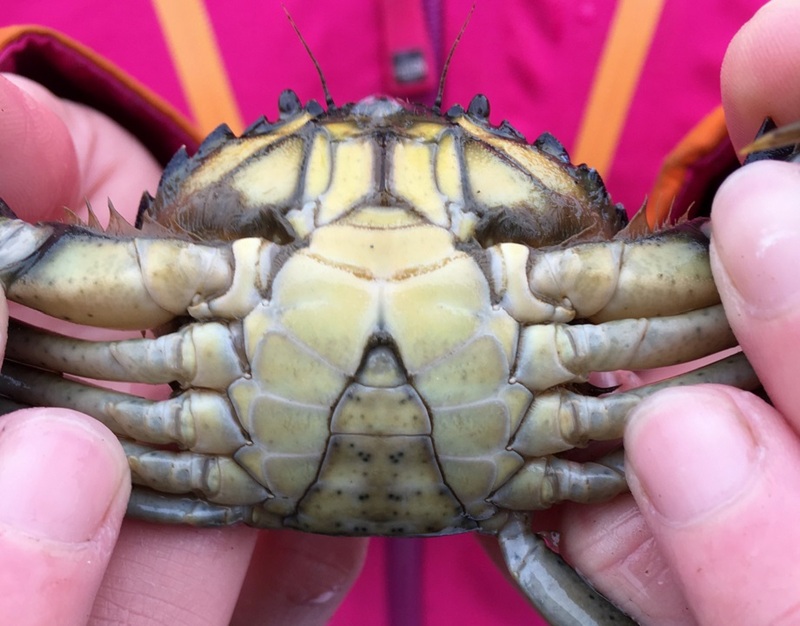 Manomet is working with fishermen, citizen scientists, restaurant owners and chefs to determine the viability of a soft-shell green crab industry in Maine. We are also collaborating with New Hampshire Sea Grant and the Green Crab R&D Project in this effort. The partnership, launched by Manomet and two other organizations in 2012, currently includes nine partners – and continues to grow. The partners collectively represent economic and community development, research and education, conservation and sustainable management. Manomet is working with shellfish harvesters to experiment with quahog aquaculture. Manomet and the Hurricane Island Foundation have partnered to ensure that long-term monitoring of Maine’s kelp forests is established.